Representing Chichigalpa, 26 year old Marline Barberena was crowned Miss Nicaragua 2014 at the 14th edition of the event held at the Ruben Dario Theater in Managua last March 15. Barberena, a former contestant in Univision’s reality “Nuestra Belleza Latina” stands 1.76m tall and will represent Nicaragua in the Miss Universe 2014 pageant to be held later this year. The 1st runner-up was Paola Quintero (19, Masatepe), who will compete in the Miss International 2014 contest in Tokyo in October. The 2nd runner-up was Katherine Guadamuz (18, Masaya), the 3rd runner-up was Xilonem Quinonez (21, Chinandega), and 4th runner-up was Elizabeth Hodgson (25, Corn Island). 14 contestants competed in the annual event organized by Silhuetas Modelos and broadcasted by VOS TV. The pageant was involved in a brief controversy earlier this year when organizers barred Nastassja Bolivar from attending future events due to a breach in her contract. 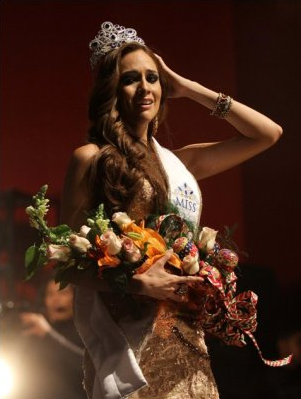 Unlike reports published by other media outlets, Miss Bolivar was never dethroned nor had the title taken away, information confirmed by the director of Miss Nicaragua.